Fill out our simple form and get quotes from local marquee and tent hire companies. Come rain or shine tent and marquee hire can provide a practical, impressive and straightforward answer to your venue dilemmas. Comfortably house your guests, caterers and entertainers in a marquee that is tailored specifically to your event and your requirements. Once your marquee hire is sorted you’ll find everything else will fall into place. Find out what your options are by completing a quote request form today. Here at Scott Events, we can deliver memorable events for all occasions! Whether it's a party for the family or a corporate event for your company. Let us bring your event to life! Our beautiful Stretch Tent really complements an outdoor wedding providing shelter to guest whilst maintaining a great appearance. for example a bell tent or a stretch marquee etc. The classic circus tent. Also an extremely popular choice for festivals. If you're not sure what style of marquee you'd like, tick this option to receive quotes from suppliers with a range of options (including clear span, traditional, capri and stretch marquees). Pagodas, or Chinese hats, are a great option if you only have a little space but want a unique style. They're also great as entries or walkways between buildings and marquees. Typically more heavy duty and higher quality than gazebos, often benefiting from a sturdier, modular design with stylish additions such as removable side panels and formal entrances. These are very basic in style and are appropriate for small events on a budget. Not usually recommended for events longer than a day. Stretch marquees (or tents) are completely flexible and extremely durable, whilst this does make them more expensive than other marquee options, they can be erected in any space. Tipis have a very distinctive style and are one of the more expensive options. They can be put together to create a larger space or can be hired individually for chill out spaces or smaller parties making them very versatile. If you're looking for glamping options, yurts are a popular choice however, they also come in larger sizes for events and weddings for those looking for a more unique style. Traditional and distinctive Arabian style tents, sturdy enough to handle most types of weather. Create an atmospheric space at any event, whether a wedding or a festival, and look great paired with the right lighting. Capri marquees are erected using tension rods, resulting in a very modern and stylish looking tent. Suitable for events of all size. Can be erected on any surface. 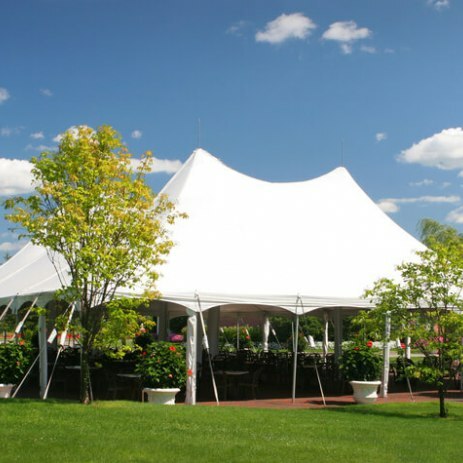 With a frame structure with no internal poles or supporting outer ropes, these are a great choice if you want flexibility in the shape of the marquee. With central poles and pitched roofs, this style of marquee also requires extra space around them for supporting ropes so are only suitable for events in large spaces. What will you be using the marquee or tent for? What will the yurt be used for? Will your guests be seated or standing? For outdoor events or a party that needs that extra bit of space, marquee hire is often essential. Hiring a party tent not only covers the important practical considerations such as creating more space and providing shelter for dining and from unpredictable weather, but party tents can create a stunning focal point and hub for the heart of your event. When considering marquees for hire you’ll be struck by a great deal of choice, from a classic country marquee, to tipi hire or a large scale event tent. Keep your budget and requirements in mind and you’ll be only a few steps away from getting your marquee hire sorted. To find the perfect marquee tent for your event, marquee hire prices and the answers to all of your tent related queries submit a quote request form today.